A popular form of wagering on the NFL is money line betting. Forget about point-spreads, because with money line bets, you just need to pick the winner. Betting the money line allows you to bet on favorites in NFL games without giving up points. Of course, you will not receive -110 on your money--the customary return on a straight bet involving point-spreads. Taking a favorite on the money line will result in diminished odds, while betting on the underdog on the money line gives you a potential return that surpasses what you would receive on a straight bet against the point-spread. Here is how the moneyline works. The two teams in a given game each have a money line, represented by a plus and minus-sign. As you know from dealing with point-spreads, the plus-sign indicates an underdog, with the minus-sign meaning that team is a favorite. Money lines are confusing at first, but mastering this concept takes merely a few minutes. Let’s look at an example. In the above example, San Diego is the favorite and Oakland is the underdog. Whenever you see a minus-sign, that indicates how much you must bet in order to win $100. So obviously, in order to win $100 on the favored Chargers, you must wager $320. 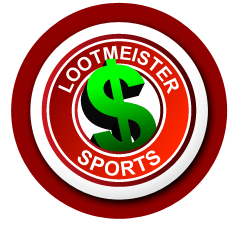 If you win, you naturally receive your $320 back, in addition to $100 in winnings for a grand total of $420. Oakland is at +260. That means you receive $260 for every $100 you wager. So if you bet $100 on Oakland and they win the game, you get your $100 wager back plus $260 in winnings for a total of $360. And while the money line is geared around a $100 bet, you can bet any amount. The $100 thing just makes it easier to understand. Why Would You Bet the Money Line? Picking a straight-up winner just seems more pure. Sweating point-spreads when betting favorites can be tough. Merely picking the winner is obviously easier. And sometimes people bet underdogs on the money line because of the temptation of enhanced profits. A savvy underdog bettor on the money line can make a profit and not even be close to 50%. You can be wrong more often than you’re right and still make money when betting dogs. Every week, you will see at least a few games where you’re fairly certain a team will win. It can be tempting to accept lower earnings on a winning bet for the privilege of only needing to win the game outright--without point-spread considerations. And since there is a good reason those teams are favored, they will often win. So it’s not that it is always a bad play. But a habitual favorite bettor on the money line faces the daunting task of being forced to maintain a very high winning percentage on his wagers to make this a long-run successful betting strategy. A guy who bets favorites averaging out at -300 has to win 75% of his bets just to break even. That’s not as easy as it sounds. NFL football is a sport where upsets happen constantly. Betting underdogs on the money line can be profitable if you’re good at it. Hitting a big underdog money line bet can make it so you can absorb some setbacks while still showing a profit. But anyone who has spent a bunch of Sundays grinding to win NFL bets will tell you that winning a bet with point-spreads is hard enough. Giving up the privilege of taking points in lieu of a money line bet is just making it too hard. And there is a certain level of demoralization that accompanies losing a money line bet when you would have won if you were betting it against the spread. Casinos can vary on their money line options. If you plan on making a lot of money line wagers, check to make sure the sportsbook you use offers an array of different choices. Some casinos also do not offer the money line on all wagers. In addition, they might not allow you to use all games offering a money line to be used on parlays. Again, check first with the different books to get a lay of the land. Money lines are not only used on who the straight-up winner will be in a given game. but also on totals (over-unders). And even when betting on games against the spread, you are still technically betting on a money line. It is usually -110, but can vary from time to time. A savvy bettor should look for online sportsbooks offering Reduced Vigorish. Related: Betting Money Line Favorites.